What inspired you to open Oceanflow Yoga? It was primarily a lifestyle choice: we were living in Windsor, UK, both working really hard and with little free time. I’d started my seasonal yoga teacher training, and was finding my lifestyle completely at odds with what I was teaching. Spending all the daylight hours under fluorescent lighting was making me feel ill. Stretch (Tom’s nickname) was keen to return to Cornwall, where he grew up, and we decided to hunt out a place where he could run a beach café and I could teach yoga. It took us five months to find the right space: a four-storey town house with big windows overlooking Fistral beach in Newquay. There was room for a 14-person Vinyasa studio on the top floor, a reception and changing area. To keep costs low, we moved in as well. We had a soft launch before Christmas 2013 and kicked it off properly in the following January. Within a week of attending my classes, Stretch had decided he also wanted to be a yoga teacher and since then the studio has taken on its own life, evolved and matured. We have converted the garage into a hot studio for nine people; more teachers have arrived, bringing their own expertise, and we have created a community of like-minded people. Has it been difficult sharing your living space with lots of people? No, not really, it’s like living in an ashram! Lots of our clients say it feels like a home from home. We have happily lived without a sofa or a television for five years, because we have been able to live the lifestyle we were after. 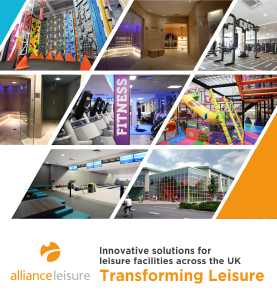 However, that is all set to change with work starting on a purpose-built site this year? Yes, we have bought a 1920s house next door and planning permission is now in place to create a bespoke space with three studios – a Vinyasa studio for 21 people, a 14-person studio for workshops and a hot studio to accommodate 16, as well as social space and a roof terrace with sea views. We’ll also have our own home on site and be creating three two-person self catering pods, which will enable us to expand the retreat side of the business. When the new site is up and running, we’ll let the current one go. Is the project self-funded or will you be seeking investors? Self-funded. We do have previous experience of raising investment for businesses, but this time we want to be able to do things our own way, teaching our own truth and staying authentic. Although the numbers need to stack up, we don’t think yoga should be too commercialised. To keep class prices affordable and to ensure the business isn’t seasonal, we have a number of different revenue streams beyond the 48 weekly classes. We run an online store selling yoga clothes and equipment: the Yoga Emporium. We also run a number of workshops and retreats (see boxout). 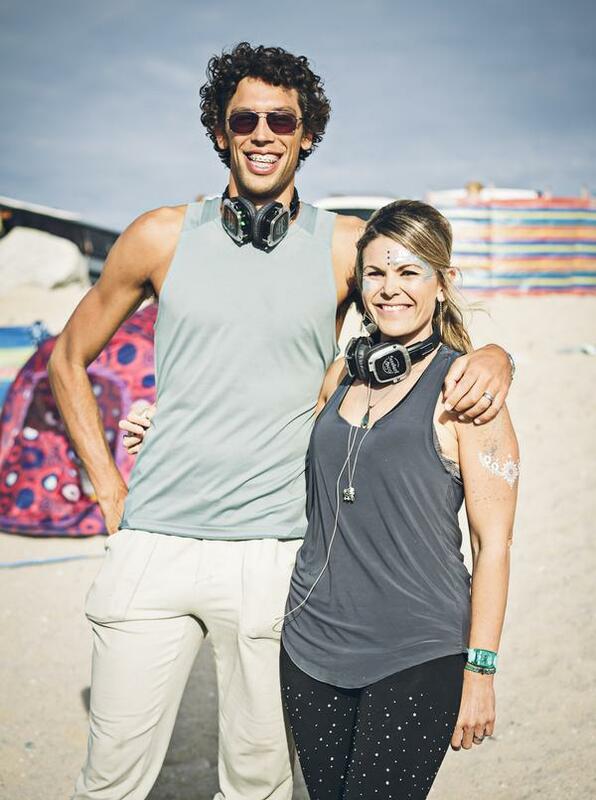 Added to this, we run special events, including silent disco yoga sessions for up to 250 people at iconic locations around the county, including The Eden Project and on the beach. Next on the cards will be the launch of online classes. What were the challenges in creating the business? Getting the word out there and building a client base. This type of studio was unusual for Cornwall at the time and introduced concepts which were new to many people, including online booking and the first hot yoga studio on the county’s north coast. There were times when no one turned up to a class, so we had to learn not to base our self worth on the number of people who came! I was about to pull my Tuesday night gentle flow class when suddenly it became really popular and now we run two. Initially we tried to be too accommodating, responding to requests for class times to be changed, but when we learned this wouldn’t necessarily get someone to come, we set boundaries and decided the schedule ourselves. In the summer we get lots of holiday makers, while the locals are busy working, and in the winter the locals come back. Because we have a male teacher, we attract a lot more men than would traditionally go to yoga classes. 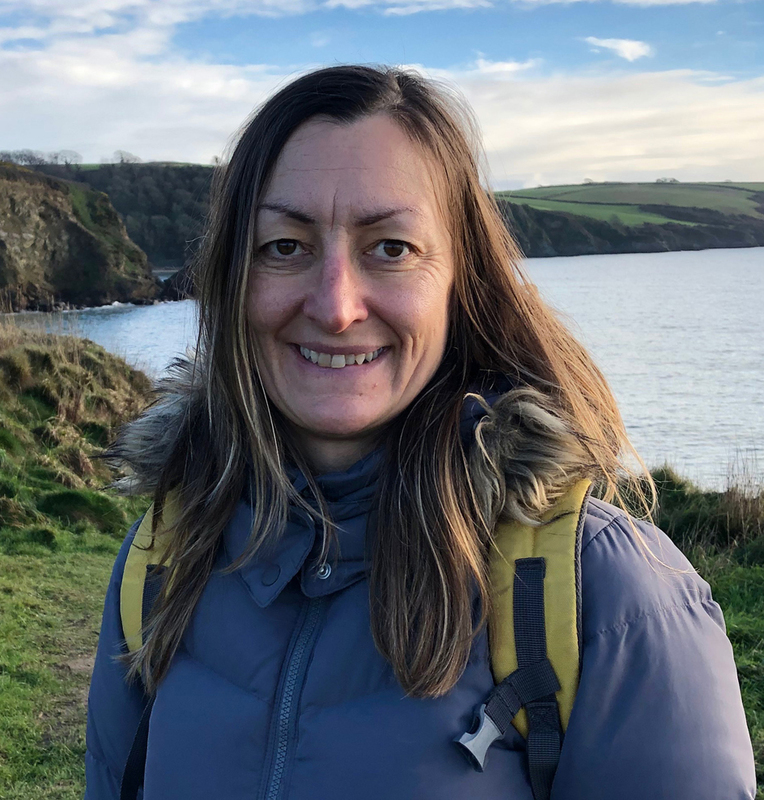 The main focus now will be to start the build, create our new space and get that running as a centre of excellence, continuing to build a community and developing all aspects of the business, while still maintaining the lifestyle that we came to Cornwall for: teaching eight yoga classes a week with lots of time for surfing! Studio classes are £8, hot yoga is £10. Block buying for five or 10 classes brings the price down to £35 to £60 for studio classes or £40 to £70 for hot yoga. Private sessions are £40 for one hour or £60 for 90 minutes. 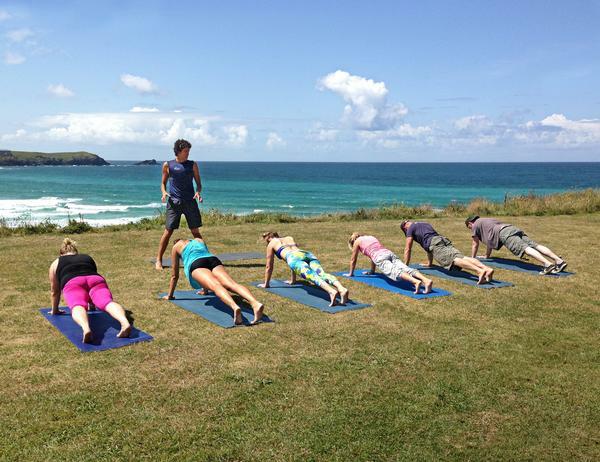 Oceanflow Yoga stands out in Cornwall’s small, but growing, yoga scene. When I moved home to the county, 15 years ago, yoga classes were mostly delivered by formidably strict Iyengar teachers, offering a couple of classes a week in chilly church halls. Now we have more teachers, more classes and more spaces. 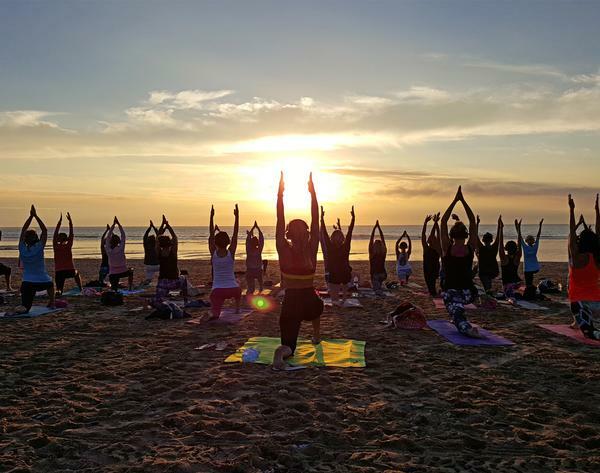 What is refreshing is that as well as offering a zen and welcoming space, along with a varied schedule, including chanting, meditation, post-natal, restorative, yin, Vinyasa flow and hot yoga, Oceanflow Yoga also offers its own twist, which befits its beachside location. 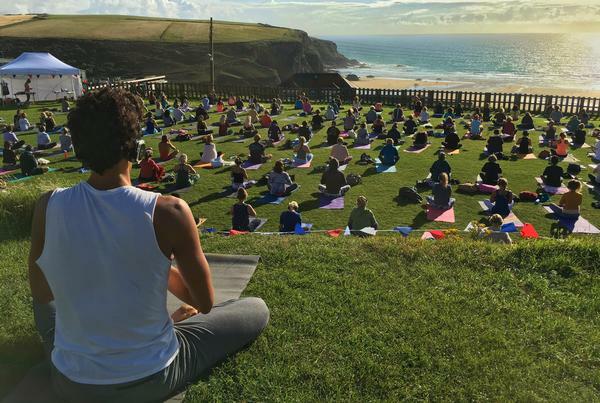 The surfing and yoga retreats, in conjunction with a local surf school, are the perfect introduction to this tricky sport, by exploring the psychology and warming up with appropriate postures. No one is more qualified, or inspiring, to lead this than Stretch, who can do a headstand while surfing! I attended Jen and her colleague Holly’s one-day workshop on seasonal yoga for autumn and came away with many coping strategies, including recipes for comforting foods, breathing exercises, and postures for keeping the lungs open and immune system strong. What was personally most useful were the insights into why many of us get low this time of year. It taught me that treating the long, dark evenings as a time to rest helps to removes the frustration I usually feel about this time of year. It’s also the best time of year for decluttering – and as that’s one of my favourite things it made me feel much more positive.